Dave Delaney shares networking tips on how to network online and offline to build your network before you need it. Jon Acuff talks about working on your dream by rescuing time, hustle, and his new book START. Farnoosh Brock on working while traveling, maintaining focus, and the effects of health on productivity. John Saddington talks about his new Kickstarter campaign for Pressgram, and his entrepreneurial lifestyle. Derek Webb talks about musicianship, talent and artistry, the music business and technology. Christin Taylor shares about shipwrecks, seasons, and writing and how they play into purpose in life. Craig Jarrow, of TimeManagementNinja.com shares productivity tips from the areas of Time Management, Email, and Motivation and goals. Augusto Pinaud shares about the different types of 'NO', and how to save minutes in order to save hours. Alli Worthington talks about all the roles in her life, and how she and her family strike a blending, or balance between them all. Anne Bogel talks about Work Life Balance vs. Work Life Blending. 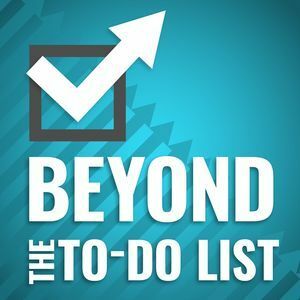 Getting Things Done (GTD) author David Allen shares the basics of the GTD process, common places people experience breakdown in the system, how he uses GTD personally, and how GTD intersects with work and life relationships. Christine Peel-Malkoff shares how she and husband Mark Malkoff collaborate their productivity and creative styles. Jay Baer shares about productivity practices, writing with perspiration vs. inspiration, and discovering how to do what only you are uniquely qualified to do. Chris Brogan talks about The Impact Equation, The Three Book Diet, and Getting More Done.